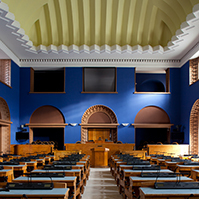 The Act on Amendments to the Political Parties Act (516 SE), initiated by the Constitutional Committee, which is to ensure that persons belong to only one political party registered in Estonia at a time and to allow an actual overview of the lists of members of political parties, was passed with 51 votes in favour. Political parties are to register changes in the registration department of a court. In the case when a member of a political party is included in more than one list of members of the political party, the registration department of the court will consider the person to belong to the party to which the person was admitted later. 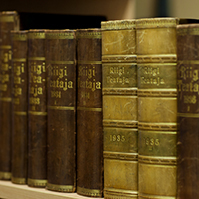 The Act on Amendments to the Riigikogu Rules of Procedure and Internal Rules Act (697 SE), initiated by the Estonian Centre Party Faction, the Estonian Reform Party Faction, the Estonian Green Party Faction, the Estonian People’s Union Faction, the Pro Patria and Res Publica Union Faction and the Social Democratic Party Faction, which allows the Riigikogu to intervene in the European Union decision-making process in the case when the EU institutions have infringed the principle of subsidiarity in the opinion of the parliament, was passed with 70 votes in favour. According to the Act, a Resolution for submitting a reasoned opinion on non-compliance of a draft European Union legislative act with the principle of subsidiarity is passed at a Riigikogu sitting. The EU Affairs Committee submits a relevant draft Resolution to the legislative proceeding. 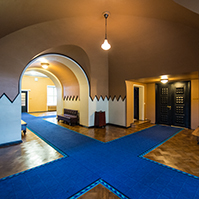 The Riigikogu may also require that the Government of the Republic file an action at the European Court of Justice concerning an already passed European Union act in the event of infringement of the principle of subsidiarity. A standing committee or faction submits a relevant draft Resolution to the legislative proceeding of the Riigikogu. On the basis of the “passerelle clause”, the Riigikogu has the right to contest a European Council initiation whereby the European Union Council adopts the principle of qualified majority instead of the principle of decision by unanimity in certain fields. The Act on Amendments to the Defence Forces Service Act (671 SE), initiated by the National Defence Committee, which determines restriction of the fundamental rights and freedoms of conscripts and brings the duration of alternative service into conformity with the principles of the European Social Charter, was passed with 64 votes in favour. The Act regulates potential restrictions of the fundamental rights which may occur in the course of performance of the duties of conscripts. The Act reduces the duration of alternative service and equalises it with the duration of compulsory military service. According to the Act, the maximum duration of alternative service is reduced to twelve months instead of the current eighteen months. The Bill on Amendments to the Rescue Service Act and Other Acts (618 SE), initiated by the Government, which specifies the procedure for granting the old-age pension of rescue service workers and the benefit of a rescue service worker in expectation of old-age pension and the procedure for calculation of the years of service, and provides appointment and designation of a rescue service worker to another position at a governmental authority or an international organisation. The Product Conformity Bill (703 SE), initiated by the Government, ensures safety and conformity of the products placed on the market and the free movement of goods. It is a general Act which provides the requirements for ensuring product safety, the bases for product conformity attestation, standardisation, accreditation and organisation of market supervision, insofar as these have not been established by other Acts. The Product Conformity Act Implementation Bill (703 SE), initiated by the Government, introduces the necessary amendments on the basis of the principles provided in the Product Conformity Act. The implementation Act repeals the Product and Service Safety Act, the Product Conformity Attestation Act and the Technical Regulations and Standards Act. The regulation of these Acts will be replaced by the Product Conformity Act. The Bill on Amendments to the Consumer Protection Act (754 SE), initiated by the Finance Committee, provides a two-month transition period upon establishing of the sales tax which enables to notify of adding the sales tax also at the cash register until 31 July 2010. 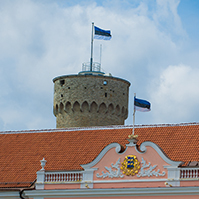 The sales tax in Tallinn will be established as of 1 June. The purpose of the Bill on Amendments to the Sports Act (678 SE), initiated by the Government, creates a provision delegating authority for founding a sports register and establishing the statutes of that register. The Bill provides the obligation of sports organisations and sports schools as well as coaches to submit data concerning them to the sports register and the register is granted the right to process these data. The fact that the sports register will operate as a state database will also enable to link it with other state and local government databases through X-Road. The Bill on Ratification of the Agreement between the Government of the Republic of Estonia and the Government of Canada concerning Youth Exchanges (732 SE), initiated by the Government, discusses mobility and exchanges of youth. The Agreement regulates the administrative procedures applicable to young citizens of Estonia and Canada who intend to complement their post-secondary education, to acquire work experience, and to improve their knowledge of the other country’s languages, culture and society. The Bill on Amendments to the Fishing Act (724 SE), initiated by the Government, creates the possibility to reduce for one time the fishing opportunities of the following year for an undertaking who has been overfishing, that means, fishing opportunities of an undertaking who has exceeded the fishing opportunities which have been allocated to it are reduced by the overcaught amount in the following year. The Bill on Amendments to the Hunting Act and the Ambient Air Protection Act (744 SE), initiated by the Government, is connected with reorganisation of the collection, analysing and publishing of environmental data. In the course of this process, the Information and Technology Centre of the Ministry of the Environment and the Centre of Forest Protection and Silviculture were merged into an administered state authority, the Environment Information Centre. The purpose of the Bill on Making a Declaration on the basis of Article 14(1) of the International Convention on the Elimination of All Forms of Racial Discrimination (731 SE), initiated by the Government, is to make a declaration on the basis of which Estonia recognises the competence of the Committee to receive and consider communications from individuals or groups of individuals claiming to be victims of a violation by Estonia of their rights set forth in the Convention. 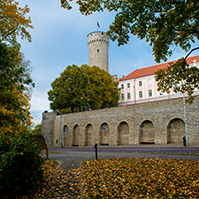 The purpose of making the declaration is to allow individuals in Estonia access to another international dispute resolution instrument in addition to the existing ones, which would also contribute to reducing discrimination and help Estonia to efficiently fulfil its obligations arising from the Convention. The Bill on Repeal of the Act on Ratification of the Agreement between the Government of the Republic of Estonia and the Government of the Republic of Italy for the Promotion and Protection of Investments (747 SE), initiated by the Government. Termination of the Agreement is reasoned because Estonia and Italy have acceded to the EU. Thus, protection of investments and equal treatment of investors is regulated by EU law and mutual agreements between member states are no longer necessary. The Bill on Amendments to the Official Statistics Act (739 SE), initiated by the Government, attempts to distinguish official statistics more clearly from other statistics and creates a uniform legal framework for keeping official statistics. The Art Works Ordering Bill (756 SE), initiated by the Government, provides targeted financing by the state for ordering art works. Legal provisions are established, which provide how and in which way public authority orders art. The Bill on Amendments to the Penal Code, the Code of Criminal Procedure, the Mental Health Act, the Punishment Register Act, the Probation Supervision Act and the Health Care Services Organisation Act (717 SE), initiated by the Government, is intended to extend the possibility to apply addiction treatment to drug addicts. It is a replacement of imprisonment imposed for commission of crimes. The Bill also extends opportunities to terminate criminal proceedings for reasons of expediency if the person agrees to be sent for treatment. The main purpose of the Bill on Amendments to the Land Register Act, the Law of Succession Act and Other Associated Acts (725 SE), initiated by the Government, is establishing of a clearer regulation for improving land register entries, as well as resolution of other problems related to the law of succession and maintenance of land registers. The purpose of the Bill on Amendments to the Commercial Code (733 SE), initiated by the Government, is to simplify the norms regulating the institution of private limited company, in particular, to enable founding of a private limited company without making contributions, to reduce formal requirements for company law documents, to reduce the obligation to involve an auditor, to simplify the regulation of the legal right of pre-emption upon transfer of a share and to eliminate a specified term of the term of office of a member of the management board. 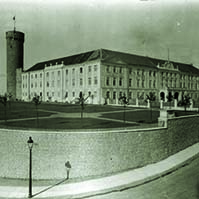 The Draft Resolution of the Riigikogu “Use of the Defence Forces in the Performance of the International Duties of the Estonian State in the Composition of the 15th Rotation of the NATO Response Force” (751 OE), submitted by the Government, provides the use of up to 45 members of the Estonian Defence Forces, as necessary, in the composition of the 15th rotation (NRF-15) of the NATO Response Force (NRF) from 1 July 2010 until 30 June 2011, in a military operation organised for the purpose of maintaining or restoring peace and security, as provided in the UN Charter, or in any other military operation in compliance with generally recognised practices and principles of international law. At Question Time, the Minister of Education and Research Tõnis Lukas in the capacity of Prime Minister answered the question about budget cuts, submitted by Kadri Simson, and the question about jobs for young people, submitted by Kaia Iva. The Minister of Regional Affairs Siim Valmar Kiisler answered the question about regional policy, submitted by Mai Treial. The Minister of Justice Rein Lang answered the question about the legal regulation of the maintenance of law and order, submitted by Ain Seppik, and the question about cooperation between ministries, submitted by Evelyn Sepp.